The first of twelve facets in being an authentic leader is developing your Personal Perception, or self-awareness. Many thought leaders conclude that the cornerstone of becoming a better leader is having the open-mindedness to self-reflect, self-assess, and to open oneself up to new information, ideas, concepts, processes and viewpoints that may alter the way one thinks and lives. From Peter Drucker to Warren Bennis, Jim Collins, Marshall Goldsmith and John Maxwell, and more recently from Daniel Pink, Seth Godin, Simon Sinek and Daniel Goleman, the consensus is that being open to honest self-assessment, and increasing one’s self-awareness quotient is preeminent to growing as a human being and developing our leadership capacities. Self-awareness is having a clear perception of your make-up as a human being. This includes being cognizant of and knowing your values, passions, strengths, weaknesses, as well as being aware of your thoughts, beliefs, motivations, and emotions. Self-awareness is having the open-mindedness to better understand how people perceive you, and being aware of your attitude and your responses to them moment to moment. Self-awareness is a healthy combination of being cognizant of what is going on inside and outside yourself. When we are not self-aware the focus of our thoughts and behaviors is driven by our own conditioned, repetitive, reflexive, thoughts and behaviors. 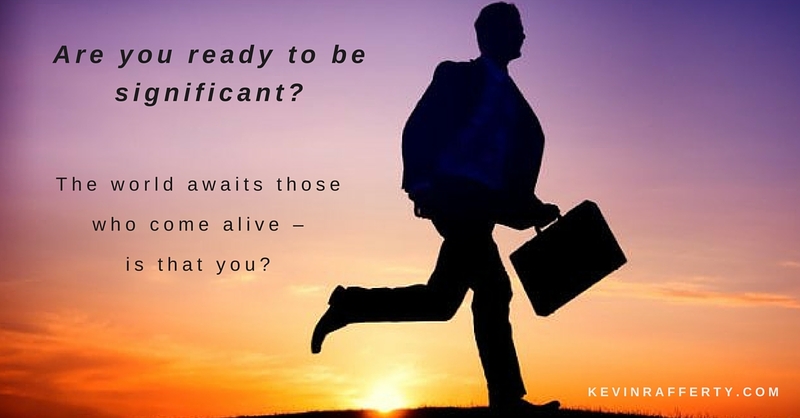 Our own ‘self’ is the center of the universe, and our selfish, self-centered, narcissistic mindset is focused inward to our own survival, protection, advancement or gratification. Sleep-walking, ‘unconsciousness’, ego-centrism, insensitivity, delusion, indifference, defensiveness, being controlling, bullying, and being grandiose are ways to describe us when we are not self-aware. – Be reflective. They have ways to quiet their minds, to simply think for themselves. They take time to take in situations, things, experiences, people and to let a bigger perspective make itself known. They are able to look honestly at their own and others performance, see what works and honor that, and be open to change where needed. – Inquire within. They take time to allow inner insights, wisdom, questions, and ideas to naturally form. They play with those thoughts without judging or dismissing them. They ask themselves what do they think and feel, and allow space and time for the new to make itself seen. – Assess themselves honestly. They are open to taking stock objectively of their strengths and weaknesses. They willingly utilize assessment tools and evaluations like Strengthfinder 2.0, Birkman, 16 PF, Myers Briggs, Spiral Dynamics, EQi, and others to learn more about their natural aptitudes. They are typically life-long learners, and seek to improve and grow by opening themselves up to new concepts. – Tap into their intuition. Whether you call it your inner feeling, gut instinct, conscience or inner voice, self-aware people more easily access this source, and have learned to listen to it and act upon it. This goes along with quieting the mind-chatter long enough to ‘hear’ from within. These people often can step ‘outside-the-box’ and make choices others are too afraid to make. – Have higher levels of what’s termed “emotional Intelligence.” Intra-personal and inter-personal skills such as self-regard, self-responsibility, empathy, compassion and accountability are more prevalent in self-aware people, and they use these skills to build healthier and lasting relationships. Higher EQ leads to increased trust, communication, collaboration and higher performance, and luckily for us, can be developed if one chooses to put in the effort. – Live in state of self-reference. 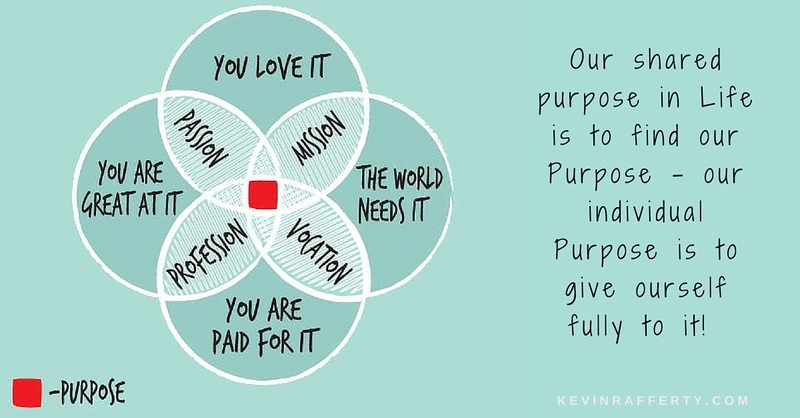 Rather than follow others, these people know their core values, live their root passions, and have a clear, compelling purpose to their life, their work and their relationships. They have developed their own unique authenticity, and courageously go about their days bringing this highest and best Self to every encounter. – Become self-actualized. The benefits of self-awareness are best stated by the man who coined the term ‘self-actualization’ – Abraham Maslow, “What a man can be, he must be.” We may call this need self-actualization. It refers to the desire for self-fulfillment, namely, to the tendency for him to become actualized in what he is potentially. This tendency might be phrased as the desire to become more and more what one is, to become everything that one is capable of becoming. People here experience humility and harmony, and seek to help others with their own development. – Achieve self-realization. The act of achieving the full development of your abilities and talents, realizing the fulfillment of the possibilities of one’s character or personality is a rare state of awareness. Success is replaced with significance, and work is looked at as an avocation rather than a job or career path. – Experience unity-consciousness. While rare, some reach a state where they get a heightened sense of being connected to everything, and that level of awareness helps them see the connection of everything at the expense of nothing. 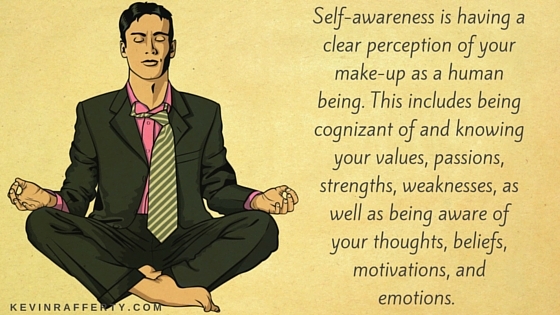 As you look at the above aspects of self-awareness, do your own assessment of where you are. Ego will often jump in quickly and give ourselves much more credit than when we do a deeper dive into what real, what’s true within ourselves. This is not a time for self-diminishment, judging, shaming or blaming. Self-aware people get to be so because they do less tearing themselves down and more looking for the truth and seeing the gap between where they really are and where their higher self would like them to be. Self-aware people are so because they have worked at it a long time, and know that life is about this type of journey rather than some end game. We will continue to explore self-awareness in future blogs. For now just sit with yourself, see where you are, and decide where you’d like to improve, grow and advance. 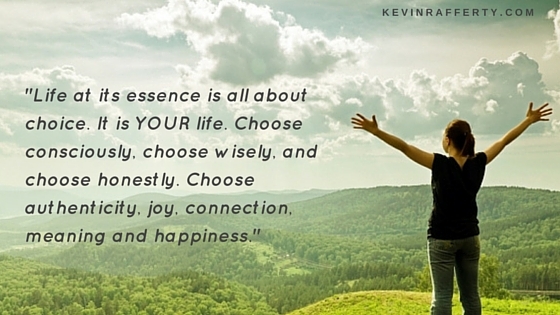 Begin to see how expanding your personal perception will benefit you and those in your life! Previous Previous post: How to Make 2016 Your Best Year Yet!